Youth Complex immediately plumps wrinkles, exfoliates, repairs, and rebuilds dermal structure with synthesis of new support proteins such as collagen and elastin. Youth prevents DNA damage and optimizes cellular metabolism using antioxidant–rich botanical acids. It is an all in one anti-aging treatment. Cleansing Complex – This clear, lightweight cleansing gel is powerful, yet gentle enough for hypersensitive skin. The balance of bio-nutrients, antioxidants and mild resurfacing ingredients thoroughly cleanses the surface and pores of the skin without stripping essential natural oils, leaving skin soft and smooth. 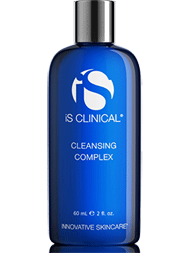 Cleansing Complex is very effective for removing makeup. For all skin types, including blemish-prone skin.